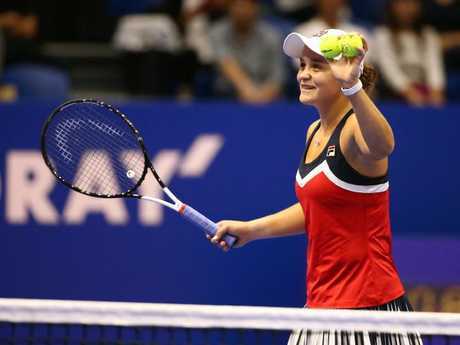 ASH Barty ignored a barrage of "friendly fire'' to close out a first-round win over doubles partner CoCo Vandeweghe at the WTA Tokyo tournament. Barty, the seventh seed, prospered on serve to post a 4-6 6-3 7-5 win over Vandeweghe, the American power-hitter she accompanied to the US Open doubles title earlier this month. The 22-year-old Australian put 70 per cent of her first serves into play in the third set against the 2017 semi-finalist at the Australian and US Opens. Barty had not played Tokyo before and said she had entered it thinking it was still an outdoor hardcourt tournament, not the indoor event it has become this year. Australia's world No.17 will play either former Australian open champion Victoria Azarenka or Japanese wildcard Kurumi Nara in the second round. Top seed Caroline Wozniacki, the reigning Australian Open champion, could also be in the way for Barty at the quarter-finals stage in Tokyo. Barty is certain to finish in the year-end top 25 but results in Tokyo and two subsequent tournaments in China will determine her final standing. She also hopes to qualify for the second-tier, WTA Trophy singles championships in Zhuhai, China late next month. 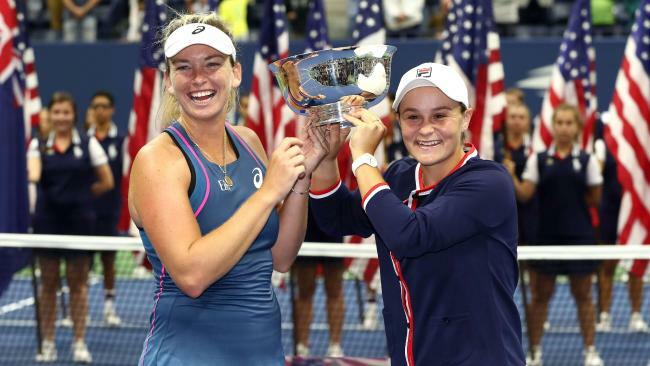 Barty and Vandeweghe, who have won two WTA titles this year, are contending for a place in the doubles field at the WTA Championships in Singapore next month. The Australian has already amassed $2.63 million in prizemoney this year, including a $872,510 haul from making the singles fourth round at the US Open and sharing in the doubles winners' spoils.